Today, we are please to provide (some) relieve for all open source GIS addicts. Following on the heels of the official gvSIG 1.9 release, we are preparing for the release of gvSIG OA Digital Edition 2010. A beta version is now available that includes all new features of gvSIG 1.9, a number of extensions and much more. 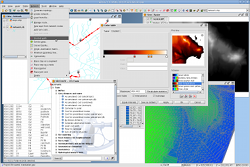 Go to the gvSIG 2010 OADE beta release page and grab your copy today!